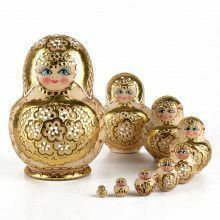 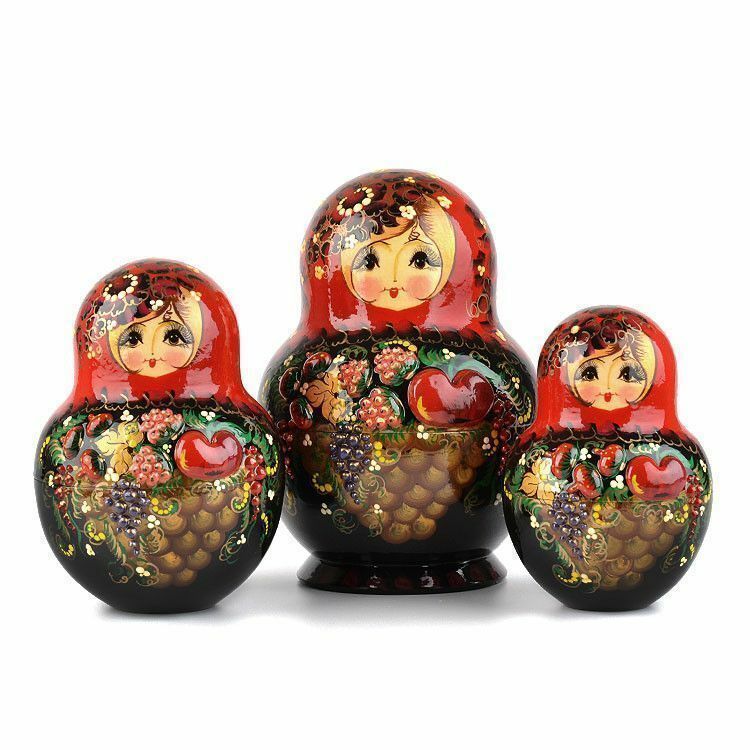 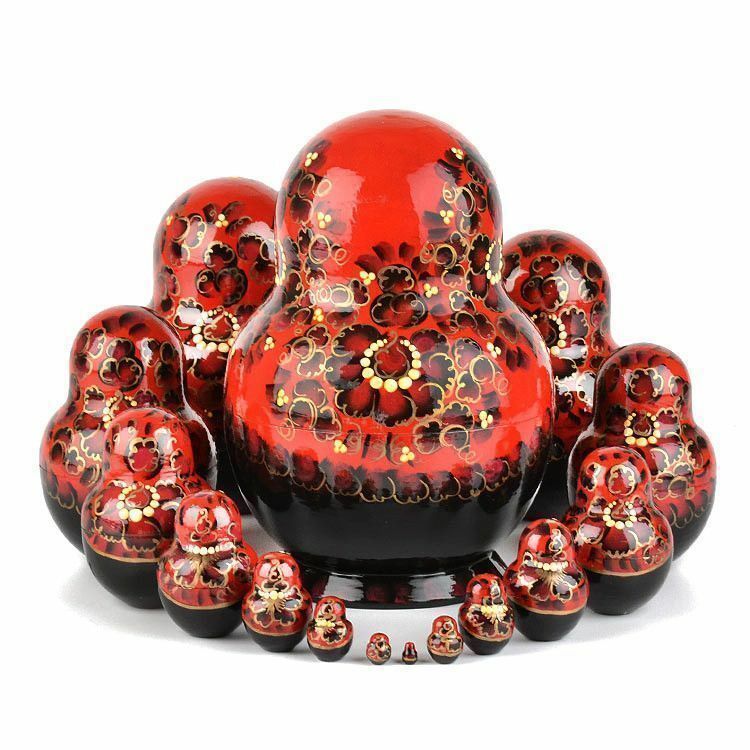 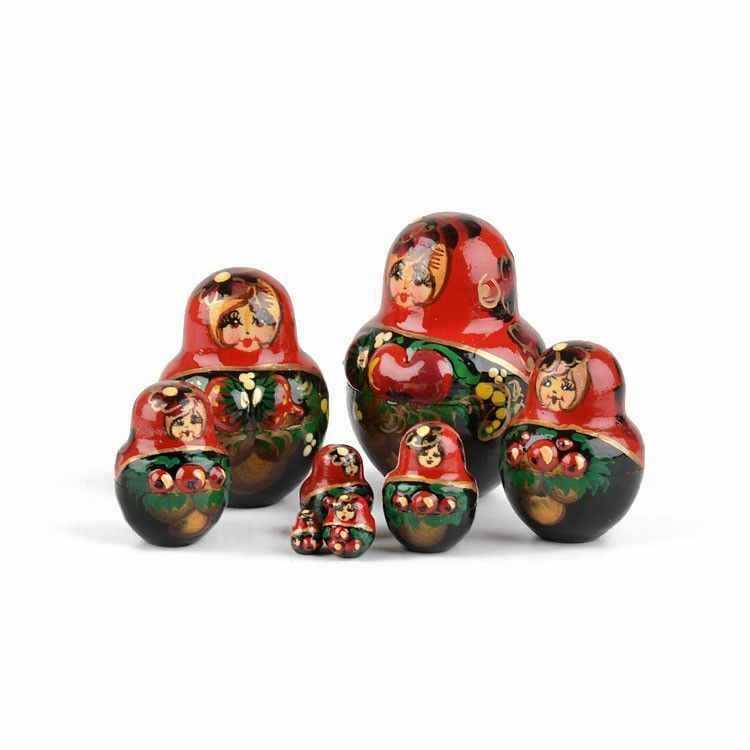 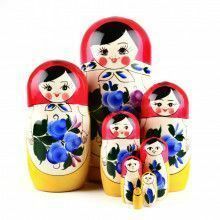 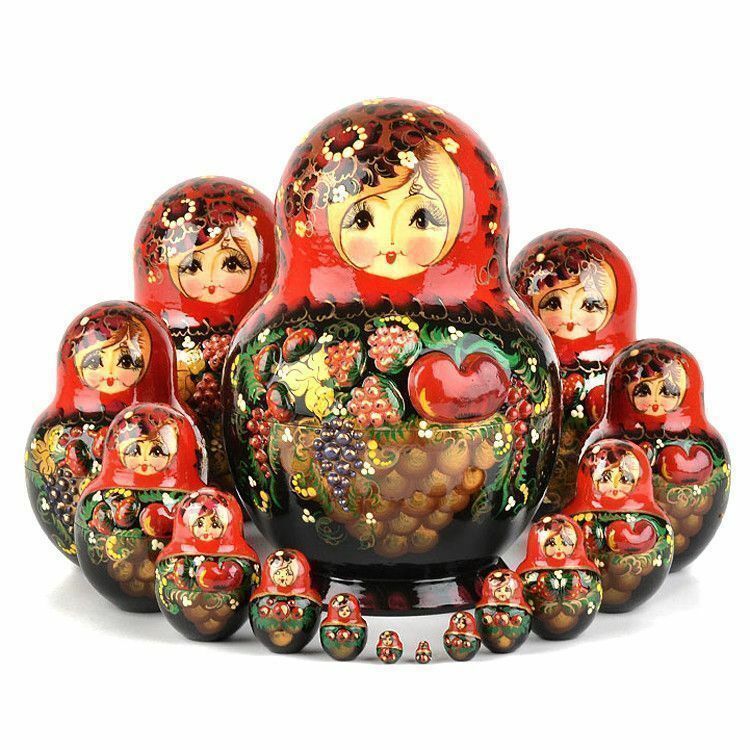 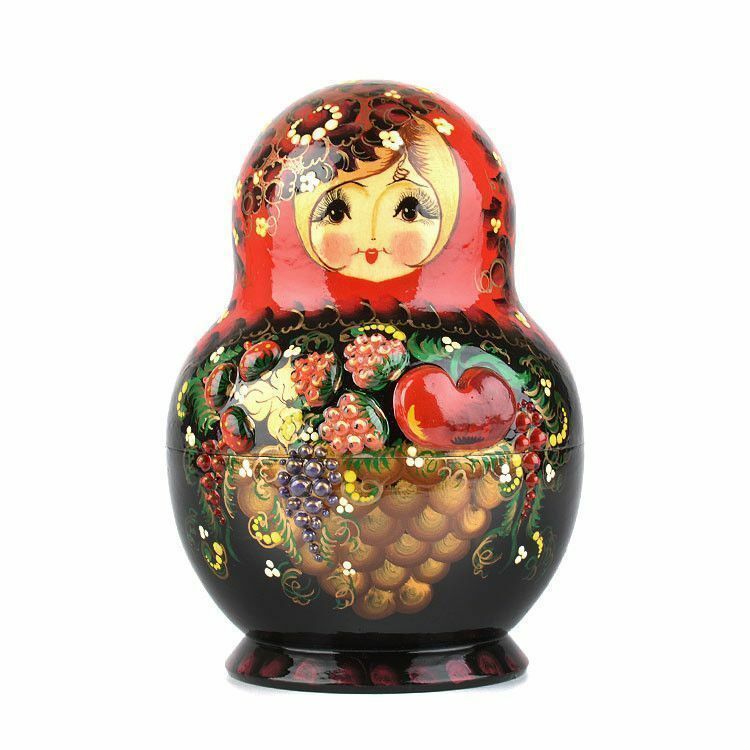 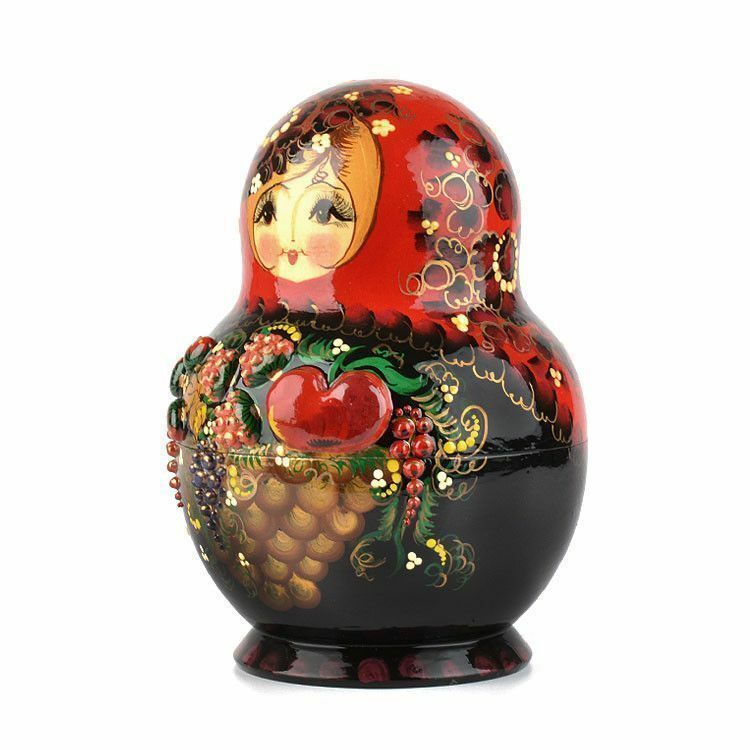 Richness of the Russian harvest portrayed in this beautiful doll of 15 pieces. 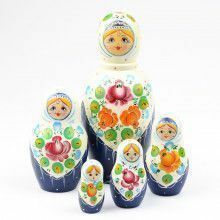 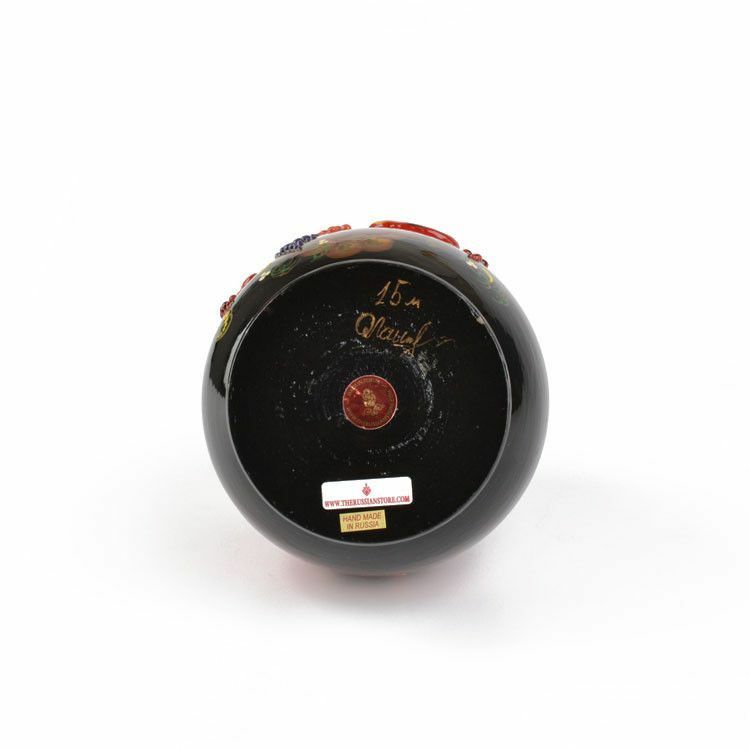 It is hand carved with three-dimensional characters of fruits and hand painted in rich colors on all 15 dolls. 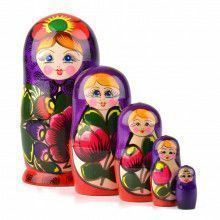 This "short and chubby" variety of matryoshka doll was imported directly from Russia. 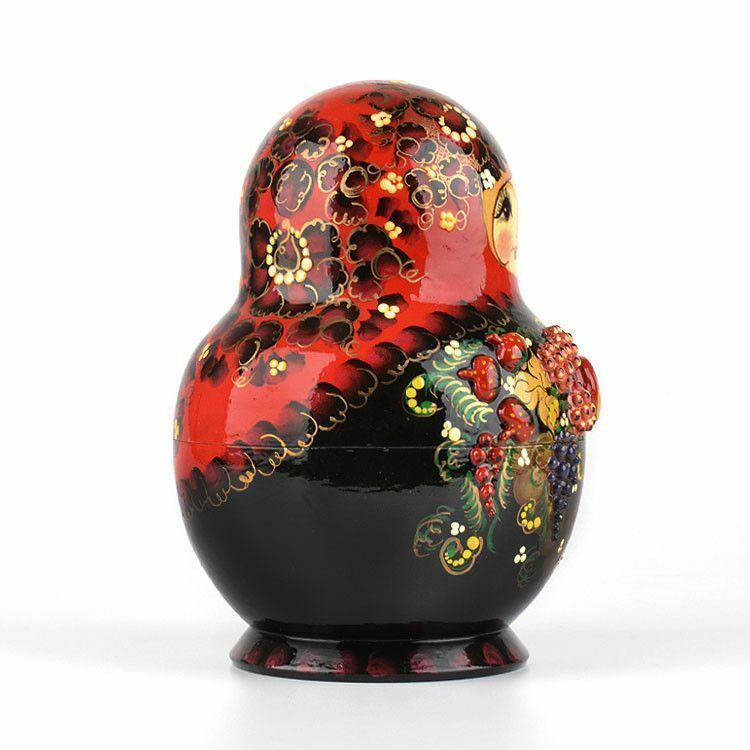 It has a high gloss finish, detailed flowers and fruit pattern painted across the entire surface. 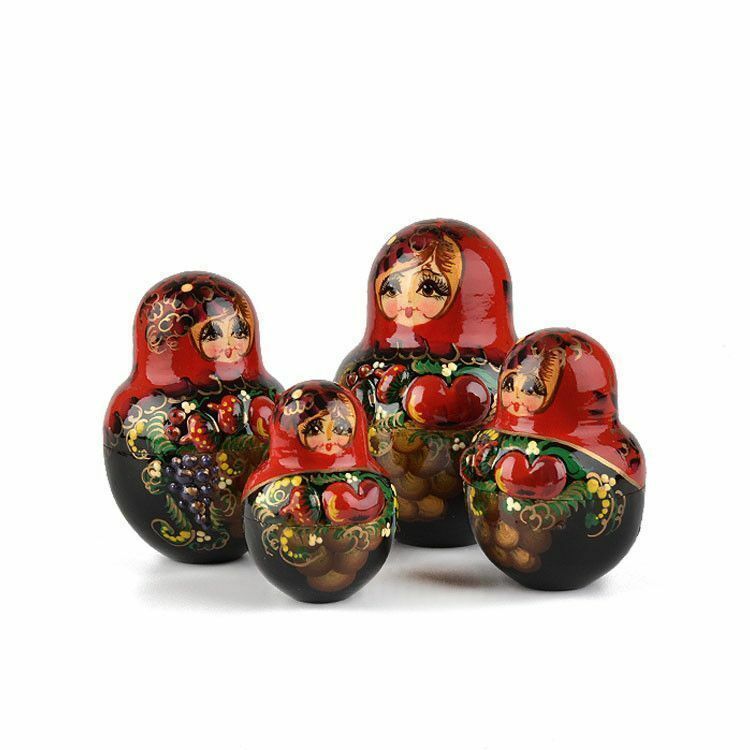 Open it up and it reveals a set of smaller dolls with the same design.